Overcoming pain is not limited to the usual remedies we take like medication. It goes far reaching into multiple traditions. Sharing his interest on movement therapy and pain science is Todd Hargrove. He is a Seattle-based Feldenkrais practitioner, Rolfer, and author. Todd shares his own journey from being an attorney to getting into Feldenkrais, explaining what it is all about and the difference between functional integration and awareness through movement. He also shares his constant search for new knowledge about what pain is, what causes it, and what can alleviate it, and explains as well what Rolfing is and where yoga ties into that. On the show, you will meet Todd Hargrove. 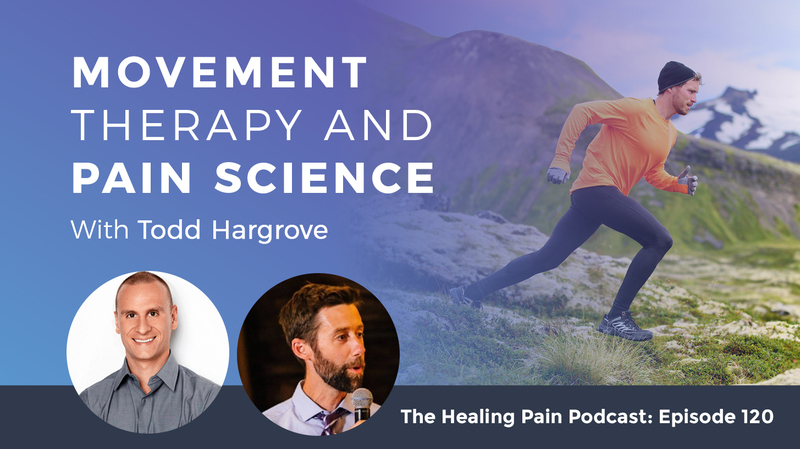 Todd is a one-time attorney who developed chronic pain which then launched them on a mission to learn more about how movement, manual therapy and pain education can alleviate pain. Todd is a Seattle-based Feldenkrais practitioner, Rolfer, and author. He writes a blog which you can learn more about BetterMovement.org and has a book called A Guide to Better Movement: The Science and Practice of Moving with More Skill and Less Pain. His work focused on the intersection between pain education, movement, and manual therapy. If you’re new to the show, I want to extend a warm welcome to you and make sure you sign up for the mailing lists by going to the URL, www.DrJoeTatta.com/podcasts. In the upper right-hand corner, you’ll see a box where you can enter your name and your email address, and I’ll send you the latest episode to your inbox each and every week for free. If you’re a practitioner, make sure to check out the Integrative Pain Science Institute. You can do that by going to the URL, www.IntegrativePainScienceInstitute.com. On there, you’ll find two courses planned for the first quarter of 2019. One is a course on nutrition for chronic pain and the other is a course on chronic pain. The two skill sets that I use in my practice that helped my patients and has transformed my practice. Todd, welcome to the podcast. It’s great to have you here. I’m excited to talk to you about movement and pain science but I’m most interested to start off with how does an attorney transition from a career in law to getting into Feldenkrais. I was an attorney for years and during that time I had some chronic pain that may have been related to the stress of being an attorney. Maybe at the time, I was thinking it was my posture or sitting on a desk too much. I got very motivated and interested in doing something about it and I tried some of the first obvious things you do and they weren’t working. At the time I got very interested in coordination and sports performance stuff too because I was trying to play better squash and win some squash matches. I was reading books by Gray Cook and Mike Boyle about functional training and there’s this idea that the efficiency and quality of your movement are related to how you feel. Feeling better and moving better were two things that I got very interested in and then at some point, I realized I was more interested in that than being an attorney. Part of that came from I felt a lot better and I was moving better. I had a lot of success so it wasn’t just about getting older and I wanted to share what I’ve learned with other people. That started a very long process of learning about this stuff. Did you seek out the help of a PT or did other practitioners help you? I went to a physical therapist. I tried massage, I did yoga, I did strength training and lots of different things. I went to a Rolfer. I got very good results from a Rolfer. I went to Rolfer school to be a Rolfer and then I went to a school to be a Feldenkrais practitioner. I almost went to school to be a physical therapist but it was three years and you need to do a bunch of prerequisites that shut the whole thing down. I’m interested in anybody who’s talking about pain, anybody who’s talking about movement, and anyone who’s talking about thoughts and emotions. The effect on pain and performance and trying to figure out what all those different people have in common. It could be because there are lots of different traditions. It addressed these questions and I’m interested. What they’re all saying is the same even though they use different language and different models. You’re on the practitioner pain journey as many people including myself. The constant search for new knowledge about what pain is what causes it, what can alleviate it is a rabbit hole. When I went to PT school way back in 1996, one of my professors is Terry Miller who is a great physical therapist. She went back for a PhD and then part of her PhD, she studied Feldenkrais. It’s interesting to me because it has never taken hold away as yoga has or the way Pilates has but it’s a fantastic movement system that has some great roots. Tell us a little bit about how Feldenkrais was started and who started the methodologies behind it. Feldenkrais got started mid-century. He was a smart guy. He was a physicist and also an athlete. He was into judo and he had a sports background. He got a bad knee injury and then he was told, “We can do surgery but it might not work that well. You might not walk again.” He was like, “I don’t want to do that.” He started to work on coordinating his knee and changing the way he used it. He got very good results that made him very curious about, “I didn’t change the structure of my body but I changed the function a lot.” He got very interested in lots of different fields like martial arts, cybernetics, complex systems and other things. He put together this method that was about helping people move better and feel better through very slow and gentle movements. It’s often a developmental movement like baby movements lying on a floor. Each lesson is addressed towards trying to improve a particular function like reaching, crawling, or rolling over. You’ll spend 45 minutes slowly exploring all these variable ways to do the same movement and trying to gain better awareness and coordination over what you’re doing. Spending time exploring the same type of movement is an important factor that doesn’t show up in other types of movement systems. He said that the point of his system was to make the impossible possible, the hard to easy and easy to elegant. When people are doing their training, they’re generally working at this making the impossible possible part of the spectrum. We don’t have a certain range of motion and we were going to get that range of motion or we don’t have a certain level of strength and we’re going to bench press more or run faster. Those are the things to do but the interesting thing about Feldenkrais, he’s taking stuff you can already do, even stuff that might be easy and we’re going to work on the easy stuff and make it elegant. He’s working at a level of effort that you see in not too many different things but maybe something like Tai Chi. In Tai Chi, you’re moving very slowly and you’re trying to feel this certain type of a groove and the difference between easy and elegant or the difference between hard and easy. It’s a different way to go about things. Not everyone can understand the idea that there’s some benefit to slowly rolling around the floor. You’re going to reduce the level of threat and the level of effort down to an absolute minimum. The movements are usually going to be on the floor so there’s no threat from gravity. The movements are super slow. They’re a small range of motion. If there’s anything you can do, you might find Feldenkrais is a starting point to get going. Eventually, you want to progress away from the floor and come into standing and move with speed and power, but it could be the first step of great exposure. If I were to go onto a Feldenkrais website, there’s functional integration and awareness through movement. What are those two parts of Feldenkrais if someone’s interested in learning more about Feldenkrais? Feldenkrais comes in two forms. One is called an awareness through movement lesson which is I get yoga class. You go to a teacher and there’s a bunch of other students there. You do an awareness through movement lesson. That’s about 45 minutes. Every class is a little bit different based on a different functional theme. One lesson might be all rolling over and one lesson might be about reaching or squatting. In a functional integration lesson, that’s one-on-one with the Feldenkrais practitioner and that’s usually a passive modality. You’re lying on the table and the practitioner is gently mobilizing your body through different patterns. Think of all the patterns that you’ve practiced actively and the lessons except the practitioner does it. The added value there is there’s no active movement at all so maybe you can get a few movements that you can’t do on your own. I’ve received a lot of these lessons. I don’t give that many of them myself because I like to help people doing things actively. They’re very interesting. Some of the practitioners are highly skilled and it’s an interesting experience. In your personal practice when you’re working with clients, do you decide to like, “We’re going to do Rolfing or Feldenkrais?” Does someone just decide which technique they want to do with you? I always want to start where people come in and they have a certain movement practice going or they have a certain thought pattern about what’s going to help them and we’re going to progress from there. Some people come to me and they’re like, “I need that deep tissue Rolfing massage. That’s what I’m here for.” I’m like, “That’s what you’re here for.” I want to progress them in the direction of doing more active things. If they have good results as a result of doing deep tissue massage things in the table, I’ll tell him something like, “Do you feel better now? I believe that you could reproduce this same feeling on your own for free with some active movement like stretching. Do you do yoga? Do you do running? What are you doing right now? Have you ever noticed that you get the same feeling from doing what you already do?” It’s a similar mechanism so I want to maybe convince them like, “I didn’t just deform your fascia and do a different shape. We did something else.” The language I use to describe that would depend on their level of geeking out with scientific terminology. I just want to get them thinking about being able to get this done on their own. Did you start to study pain science and explore pain science before the Feldenkrais or after? I became aware of pain science stuff through SomaSimple website. I ended up on that website, which was a bunch of pain science crusaders right around the time I was in school for Rolfing which is around 2005. What I was taking away from that was that the mechanism of effect in most single session intervention such as physical therapy or massage therapy is some neurological mechanisms as opposed to a structural biomechanical mechanism. I saw that same idea from physical therapists. That was the Feldenkrais idea too. Feldenkrais was all about the idea that I’m changing function and not structure. I want flexible brains and not flexible bodies. These whole interventions are directed at changing the self-image and not changing the physical structure of the body. Not that there’s anything wrong with that but in a single session that’s all you’re going to get done. I was getting oriented towards that worldview early on. Feldenkrais thought that posture mattered and movement mattered. He did have an enlightened view in my mind about how and why it mattered because he didn’t believe in right or wrong as far as posture and movement goes. He’s got a phrase that says, “It’s incorrect to correct.” That means you don’t look at someone and say, “You’re doing it wrong.” That’s because different people are very variable in their structure and in their background. The best way for them to move is individual to them. You don’t tell someone how to move. You don’t tell someone how to stand. You explore different options to help them find the best way to move or stand for them. He thought that that mattered. He thought that people could make improvements in those things but he wasn’t going to say exactly what that was because he knew it would be different for everyone and different for context. The best way to posture yourself in one context is not the same as another. It’s not this rigid plumb line, “Stand up straight,” idea. He’s ahead of his time and I don’t think people quite understand that. He was very ahead of his time. Some of his ideas about the self-image, we move, act and feel in accordance with our self-image are very similar to the idea that we feel pain in accordance with the body image and the virtual image. That cybernetic idea he had and the research in support of that came out much later and I got very deep doubt by that at the time. Have you used it with any trauma patients? I know someone who uses Feldenkrais with patients who have trauma and he talks about as far as having good outcomes. I do Feldenkrais-ish things with people I said that I do Rolfing. Everything I do is a hybrid thing. If someone is in my office and they’ve had some form of trauma then they’re sensitive. The inputs whether they’re physical, whether they’re mental, whether they’re movement based are going to be gentler so as not to cause a flare-up. Feldenkrais is a very gentle thing to do. The best predictor of me doing Feldenkrais with someone is whether they want to do it or whether they’re interested. On my website, I say, “I do this, I do that.” Most people come in and they say, “I want that deep tissue massage.” That’s where we start. Feldenkrais is a hard sell for some people. Not everyone can understand the idea that there’s some benefit to slowly rolling around the floor. The emotional aspect of pain is a little different than sensory-discriminative, that is why you can have some pains that are worse than others even though the intensity is the same. You start them on the table. When they’re done with their massage, you just throw a little bit of that in there to give them a flavor. To me, it’s very much about what people are able to receive. How is Feldenkrais different than yoga or Pilates or Tai Chi or the other movement therapies that are out there? There are a lot of practitioners that are into movement therapies and there are some that just haven’t even ventured there. They’re always on basic PREs and straight playing exercise, movement, weights and things like that. One thing that yoga, Pilates and Tai Chi have in common with Feldenkrais is that mindfulness aspect. These are considered mindfulness things and that means you’re not just going through the motions the way you are paying attention during the movements is important. Your emotional state is important too. You’re paying attention to what’s going on but the teacher is trying to cultivate nonjudgmental attention so that you are aware of emotional reactions to the way you’re moving. You’re trying to inhibit those a little bit so that if you’re moving in a way and thinking, “That’s asymmetrical, that’s a bad thing.” Be aware of that idea and talk yourself down if possible. You’re thinking, “That’s a herniated disc in my back.” The proper attention is how does it feel back there? You need to be aware of where your thoughts are going. You’ll see teachers cultivating that in lots of different areas because it’s a general aspect of wisdom and you see it in lots of different wisdom traditions including movement traditions that are somatic. It’s incorrect to correct. You don’t want to be overly corrective during the session. Part of that is because you don’t want to force someone into a position that they’re not supposed to be in and you’re not supposed to be judgmental. The teachers are instructed to be incredibly sensitive to how the student is building what’s called the self-image. The self-image is a super important idea. In Feldenkrais, we move, feel, and perceive in accordance with our self-image. If your self-image is that you’re robust, you’re strong, you’re capable, you tend to move and feel that way. If your self-image is that you’re fragile, weak, and incapable, you tend to move and feel in accordance with that. Your self-image can be affected by everything that’s going on in that session. You’re an authority figure so the message that you’re sending someone about their body and their capabilities, people might be sensitive to that and you’re supposed to be aware of that as a teacher. I don’t know too many movement traditions that go into in that depth. It starts to bring in a cognitive level to exercise that’s purposeful. I’ve taken not to pick on yoga. I love yoga. Yoga is fantastic but sometimes you take a class with a yoga instructor and they’re giving instructions that are anatomically strange and biomechanics strange. 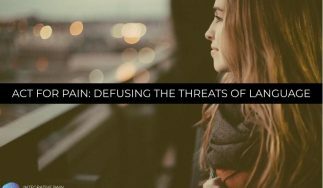 It’s not a very fluid description of how the body moves and how it relates to pain. That’s interesting about Feldenkrais. I’d love to see more. I wonder if there’s any research on that as far as studying that specific aspect of Feldenkrais and how much of that influences the outcome versus the actual movement itself. There’s not a ton of research on Feldenkrais. There are studies scattered here and there. I would imagine there’s not something investigating in this exact issue that you’re talking about. There is some outcome stuff to one of those more research is needed things. It seems that Feldenkrais is effective especially balancing the elderly. There are meta-analysis and systematic reviews. There’s a review by Edzard Ernst. He’s the alternative medicine skeptic. 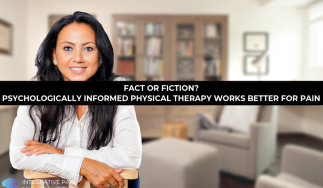 I was glad to see him write a blog post that said, “I had Feldenkrais in the alternative medicine category.” To him, it’s a medicine that hasn’t been proven to work or the medicine is proven not to work. It’s a now a little bit over into a better category because there is some evidence. This could be recommended as something to help people with self-efficacy balance other issues related to pain and function but not a ton of high-quality evidence and not big effect sizes. To return the evidence train, we need more evidence in everything. I always say that I’ve never seen a researcher right at the end of their article like, “We’re done. We don’t need any more evidence on this.” If they did it, they’d be out of a job. I read a blog post by Trisha Greenhalgh and she was complaining about how more research is needed. Of course, the research is always going to say that but at some point, if you can’t detect an effect after lots and lots of tries, maybe more research isn’t needed. You delved into pain science. The ultimate question is how do you explain chronic pain to a new client who you see? You’re not arm-wrestling them over that one concept that they need a strong core but you’re adding a new principle on top of their already established thoughts and beliefs about the body and pain. It’s very individual and it depends on the person. I’ve also heard you talking about the concept of good pain which I like. When you put the word good in anything, it’s a good thing. 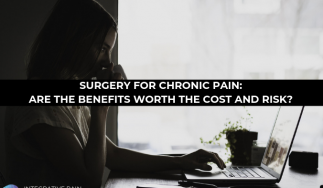 Tell me about good pain because I’ve had people post on some of my blogs and my podcasts that pain is always bad and pain never serves a purpose. That’s not sure but tell me about good pain. People talk about good pain. It’s something they say with exercise and with massage. Maybe it’s my own theory so maybe it’s speculative but it may relate to the idea of descending inhibition. Descending inhibition is when you get the opioid and cannabinoid stuff coming down the spinal cord, the block, the upward flow or nociception. When the brain perceives that it doesn’t want to be hearing about the nociception, why would it do that? One time it would do that maybe in an emergency situation. It doesn’t want to discourage the physical activity that’s causing the pain. It blocks it and it makes it feel good. When you dance, you nationally try new things. That’s what happens with exercise. The brain knows the exercise is good for you. Exercise is generating a lot of nociception. Your feet are pounding on the ground with every step. Your muscles are screaming and they’re saying, “We want to stop,” so there’s a lot of nociception there. The brain knows that the activity is healthy so it modulates that in a way that it doesn’t feel quite so bad. In fact, it feels good. You get the same thing with deep tissue massage. We know that these activities both activate descending inhibition. The emotional aspect of pain is a little different than sensory-discriminative. Some pains are worse than others even though the intensity is the same. Rolfing can be deeper or have heavier pressure. Just so if the audience doesn’t take the message away that they have to feel some pain with a manual technique and not just massage. It could be PT or chiropractic or whatever it is. Back in the day, old-school Rolfing was very deep. The explanation for why Rolfing work was deforming fascia to a different shape and that’s why you’re going to feel better. Over the time, most Rolfers don’t believe that anymore and I never did. The idea was that there’s some neuromodulation going on. I would suggest that if there’s any pain, you would want it to be a good pain. I never create any sensation in my clients that they don’t feel therapeutic. I get some people coming in there with a misguided idea like, “I know you’ve got to get in there and do whatever you’ve got to do and I’ve got a high pain tolerance and I don’t care how much it hurts.” I’ll say, “Hold on there. I want to make sure that whatever is happening here feels therapeutic to you like the feeling of good pain.” That’s what you select when you’re doing a yoga pose. When you’re doing a yoga pose, how far do you go into the pose? Maybe you feel a good pain and that’s where most people stop. When you put it in a lacrosse ball and feel it rolling, that’s where you stop. If you get some people that are very aggressive and they don’t manage very intelligently there but those people are like, “I’m not going to work as hard as you might want me to.” There are some people who have a hard time getting any good pain at all. People with fibromyalgia and different chronic pain conditions and their descending inhibition system don’t work very well, they get flared-up by some aggressive stimulus. They don’t get good pain and they don’t feel better. You’ve got to keep that in mind too but you can see who’s who. There are some clues. Also, good communication is always a big key to any of that. It’s working with the patient and developing that relationship and figuring out like, “What are you feeling? How does it feel to you? Where are the barriers to your sensation?” Talk to me about play. I was on one of your blogs and I saw you wrote something about play which is so important on so many different levels. Talk to me about how that concept of play started coming up in your mind and in your practice and why it’s important for someone with pain. It has something to do with the variability that I was between individuals. It’s very hard to apply the rational planning commanding control and very corrective measurement-based program for getting people better in a lot of cases. A more playful approach has the advantage of tapping into things that people want to do. One aspect of play is whenever you’re playing with something, you’re intrinsically motivated to do that thing. I want all my clients to move more, to get engaged in a healthy amount of physical activity. It’s not super important to me exactly what activity they do but I want them to show up for a day after day, so they have to be intrinsically motivated to do it. That makes the activity a little bit more like play and a little bit less like work. Another aspect of it is play tends to be a variable type of things. When you’re playing around with something, you’re experimenting with this, you’re experimenting with that, you’re not following a plan where you know exactly what to do. That’s another aspect of play I like. It’s the curiosity and the experimental nature of it. One of my Feldenkrais teachers says this quote I like. He says, “Feldenkrais lessons are like a structured baby play.” Feldenkrais is very influenced by infant motor development. That’s the time in our life where we’re learning movement faster than any other time and it’s all play. You don’t do it through instructions. No one’s saying, “Next time you roll over, make sure to fire your core.” Babies learn by doing. That’s another aspect of play that’s good. When you talk about play, kids come to mind at first exploring their environment on jungle gyms and things like that. How can an adult with chronic pain take that concept to play and start to seed it into their life a little bit? The wordplay is not an optimal word for me because it suggests that playing for an adult means progressing to being a kid or doing things that are silly or frivolous or trivial. That’s not really that. The aspect of play that kids do which would apply to adults including an adult in pain is this idea of doing things that are meaningful to you and doing things that are meaningful for their own sake. Also, doing things in a curious and exploratory type of a way. When kids are working with blocks and they’re working with problems, it’s not all totally fun and games, they’re serious. They’re absorbing what they’re doing. They’re not doing it because someone else told them to do it. They’re doing it because it’s very meaningful and it can be a struggle. That type of attitude could apply to an adult trying to get out of pain. It’s also solving problems on your own aspect as opposed to following directions from someone else. It’s one of the things that’s missing from PT a lot. You give people very structured and regimented programs that people go home and they do the same exercise two or three times every day for the week but there’s not a lot of variabilities there. People will have a hard time figuring out, “How does this exercise relate to the rest of my life?” It sometimes can be an issue. It’s a great point that you make. One of the professions that have not risen to the top in this whole pain science exploration going on this dance therapy. There are whole parts of the brain that are devoted to movement and dance. When was the last time most people dance? Never. When you dance, you naturally try new things. Sometimes you do it with someone else or someone’s mirroring you or you’re mirroring them and it has different effects on the brain. A lot of things there that are left out of almost every movement system where it’s just you moving and someone’s telling you what to do and how to move. It’s a multidimensional experience. You’re bringing it into the social elements. You’re bringing in the element of meaning and creativity. You’re engaging massive parts of the brain as opposed to the part that’s just following directions from an authority figure who’s doing something. Play is a multidimensional experience just like the dance that you were talking about. A lot of that stuff can get washed out when you give someone a program of five sets of X repetitions. I know you have a book that came out and it did well. People liked the book and you can talk about that but tell us about the new book. I wrote a book called Guide to Better Movement, which is what I call a neurocentric perspective on movement and pain and it’s got Feldenkrais lessons at the end. It includes a lot of the stuff we’re talking about. My other book is going to be called Playing with Movement and it’s a play based approach to the developing multi-dimensional movement health in moving better and feeling better. It’s looking at the social aspects of movements, cognitive, psychological, sensory, fitness, and all the different aspects of what might help with pain and might get you at having better function. The basic argument is that finding movements that are meaningful to you is an essential part of solving problems related to your function and the way you feel. It is taking control of your own situation and relying less on experts and formalized training programs. Congratulations on your second book. They’re always labors of love, aren’t they? It is and hopefully, I’m getting to the end of it. I’ve been in labor for too long. Todd, I want to thank you for being here. It’s great to chat with you. It’s so interesting to find someone who’s not a “licensed practitioner” who’s taken so many different approaches and started to weave them into approachable ways to help people in pain. It’s important. Of course, I want you all to explorer Todd’s website. It’s BetterMovement.org and you can check out both his books there. It’s called A Guide to Better Movement. You can find it on Amazon. If you go to the website, you’ll find a link. Find it on Amazon and check him out on his website at BetterMovement.org. Make sure you share this episode with your friends and family on Facebook, Twitter, LinkedIn, and whatever your favorite social media handle is and then hop on over to DrJoeTatta.com/podcasts. There’s a little box in the upper right-hand corner and you can put in your name and email address and I’ll send you the latest podcast to your inbox each week for free. I want to thank all of you for joining me on the Healing Pain Podcast. Todd Hargrove is a Seattle-based Feldenkrais practitioner, Rolfer, and author. He writes a blog at bettermovement.org and wrote a book called A Guide to Better Movement: The Science and Practice of Moving with More Skill and Less Pain. He has a new book coming out soon called Playing With Movement. His writing focuses on the complexity of movement and pain.